Far above Earthly concerns, Archangels, Arkhonz, and Neterz all vie for ascendancy. Their gathering storm will overturn our whole universe by the time this present Æon ends. Combining Egyptology, Kabbalah, Thelema, and Zoroastrianism (among much else) — A Codex For Gnostics is an epic poem unlike any before it. Relentless wordplay jam-packed with hidden references promises to bemuse even the savviest of readers whilst providing comic relief aplenty! 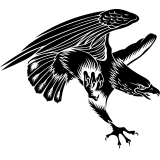 A Codex For Gnostics is an experimental work of fiction that weaves epic poetry together with esoteric mysticism to produce a metaphysical comedy that could make Dante Alighieri blush. 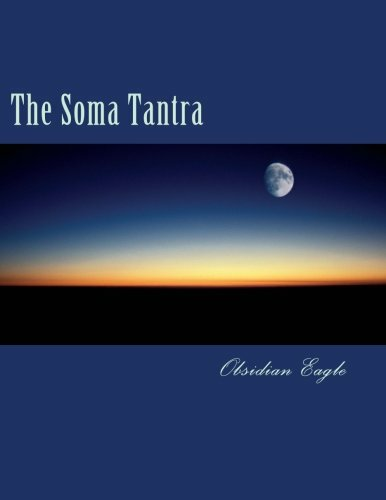 It is Obsidian Eagle's sophomore sequel, following his debut: The Soma Tantra. "Having enjoyed this author’s previous work, The Soma Tantra, I was excited to check out his new offering. At first glance I was disappointed at the length. Only 150 pages? But don’t let this fool you…this is one condensed narrative! We’ve got epic storytelling, intriguing plot lines, and tons of literature, cinema and music references, all woven seamlessly together. I actually read the book twice to catch all those hidden gems! The novel is loaded with dark humour and social commentary, in a style reminiscent of Clive Barker meets Douglas Adams. Obsidian Eagle has a knack for drawing the reader in and making the absurd and otherworldly seem completely reasonable. Highly recommended!"